So we did it! And it was unforgettable. “Our planet,” the crowd roared back. 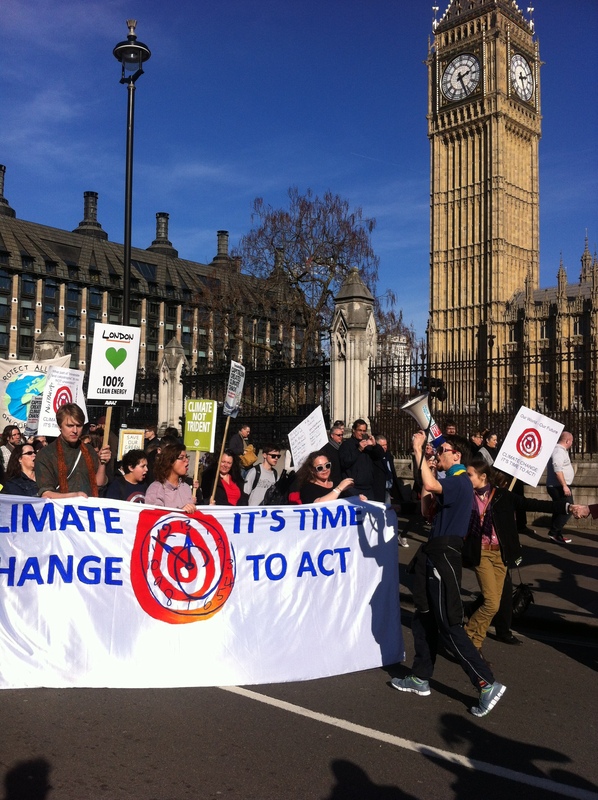 So began Saturday’s climate change rally in London, which attracted over 20,000 people calling for action on climate change.” – Vice News reported. 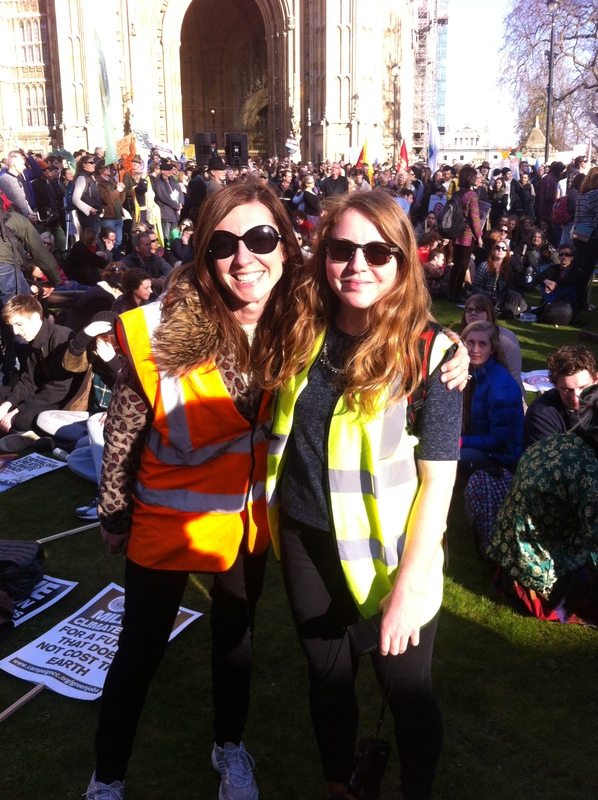 Marching in the front row as one of lead stewards – which meant leading these 20,000 people from beautiful Lincoln Inn Fields to Parliament Square – I felt calm, peaceful and happy (and I am careful not to overuse this adjective). The day started off with me driving a van (for the first time in my life) full of placards, banners and electronic equipment to the venue. Then one last steward briefing for leads stewards, a bit of meditation, a bit of running around and asking various individuals for their next action (as this is time to ACT, not time to march and go home), a few jokes with policemen on bikes joining our bike bloc, and off we went. You can read the whole report here and watch a short video here. It was emotional; full of positive vibe and happiness; peaceful; accompanied by lots of music, dancing and pretty funny chanting, and lots of cheerful and smiling passers-by on the Strand, in the warm sunshine. Having been involved in helping to organise the event, I was aware how many things could have gone wrong despite the most detailed preparation. But everything went according to plan: the weather, the people, the speakers and the sound were perfect. There was only one thing to say at the end of the day while raising a glass of prosecco with Lindsay, the main organiser and one of the most inspiring women I have met: we did it. And it was just awesome. This entry was posted in Uncategorized and tagged #climateaction, #climatechange, c,limate change, fossil fuel. Bookmark the permalink.